The departmental director of Environment, Cinthia Asin, reported Tuesday [08/09/2016] that the rains help control fires affecting Santa Cruz, although there are still persisting some burning points in the Chaco and part of the valleys. 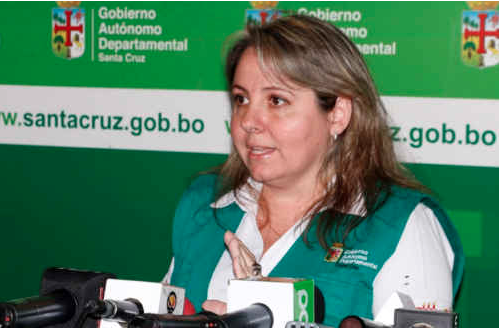 “We have been aided by rains although they have not registered rainfall throughout the department, at the moment we are working on the two forest fires that still remain and are in Santa Rosa del Sara and San Antonio de Lomerío” she said. According to Asin, burning sites recorded in the first week of August are 2,400. Between July and August, have been reported eight forest fires; it estimated that more than 150 thousand hectares were affected by the fire, she added. This entry was posted in Bolivia, Environment, Health, Santa Cruz, Social Unrest and tagged environmental damage, uncontrolled fires. Bookmark the permalink.